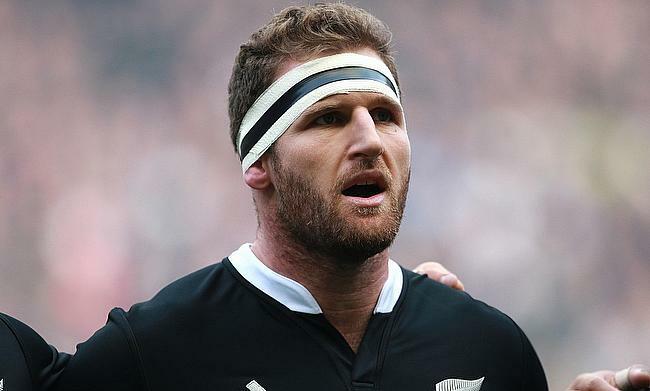 New Zealand skipper Kieran Read will spend a lengthy period on the sidelines as he is set to undergo a surgery on his back. The 32-year-old is unlikely to return to action until mid-April according to a report published by the stuff.co.nz. Read sustained the injury at the end of New Zealand's European tour and has decided to go under the knife following a consultation with specialists. "He has been reviewed by both the All Blacks and Crusaders medical teams, as well as a back specialist, who will continue to monitor his recovery. Expected recovery time for such injuries is approximately four months," the Crusaders said in a statement. Earlier, Read posted on his social media platform after he was forced to miss the final game of the European tour against Wales last year. "So lucky there's a big summer of cricket coming up as I will be spending plenty of time here over the next few weeks," Read stated. "Head in for surgery on a disc in my back on Saturday, which I injured at the end of the season. Hopefully I don't miss too much of the @superrugby season. I'll get through it thanks to ACC." In the absence of Read, it was Sam Whitelock, who captained the All Blacks against Wales which they went on to win 33-18.